Description: PentHouse Living in Pembroke North….this popular Two Bedroom Condo is on the Top floor of Building Two Facing Lancaster Avenue. One of the rare units that you can see the beautiful Sun Rise and the gorgeous Sun Set. Originally the Sales Model, this home has been professionally decorated and has a unique floor plan to the building. Fabulous Chef’s kitchen with Granite Island. Large Master Bedroom and dressing room area with Master Bath ensuite. Second Guest room and bathroom in private wing. Fabulous Open Floor plan living space in pristine condition. A private and sunny balcony to enjoy the view of the popular town of Wayne. What is not to love! Maintenance-free and turnkey equals an easy lifestyle decision. Deeded Two Parking Spaces in the garage are #75 and #78. 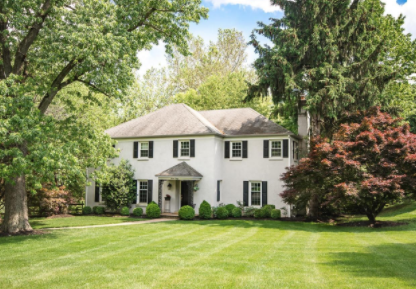 Description: Welcome to this beautiful 2 story colonial home nestled on 1.84 acres with the most picturesque views, on a cul-de-sac, in one of the most sought after neighborhoods in Tredyffrin, Glenhardie North! Enter by way of the gently meandering paver walk to the hardwood foyer with attractive turned staircase. Lovingly renovated and updated kitchen and baths will wow you with the finest craftsmanship and materials. Site finished hardwood floors lend warmth & charm to the spacious fireside family room as well as the French door entry from the foyer to the bright & airy living & dining rooms. No matter the season, the dining room and kitchen dining area offer the most stunning views for casual meals or formal celebrations. The custom kitchen boasts lovely Amish built cabinets, matching panels on the double door fridge, granite countertops, recessed lighting, even a beadboard ceiling! Upper level has 3 bedrooms, a hall bath with tub/shower and fabulous vanity with stone top. Master Suite is large enough for seating area, lots of windows, 2 walk in closets as well as a spectacular Ensuite bath? Exquisite furniture pieces were used for the vanities, updated tile shower with frameless glass door and luxurious jetted tub, crown molding, designer lighting, no expense was spared to transform this gem into the perfect spa like escape at the end of the day. As the weather gets warmer the patio off the kitchen & family room is the perfect place to relax or entertain while enjoying the bucolic views complete with a stream. Walk to Valley Forge Park. 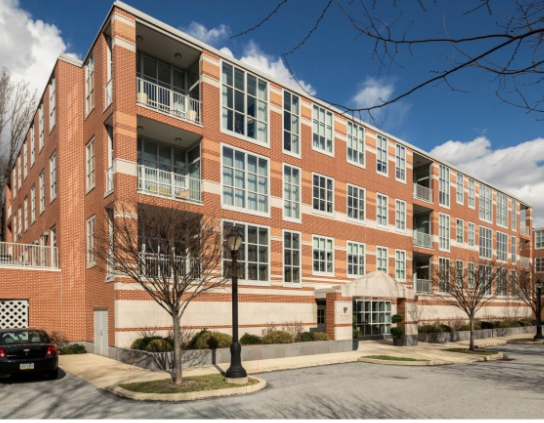 All this and convenient to shopping & dining, Wegmans, Trader Joe’s, King of Prussia Town Center and the Mall and Rtes. 202, 76, PA Turnpike and T/E schools! 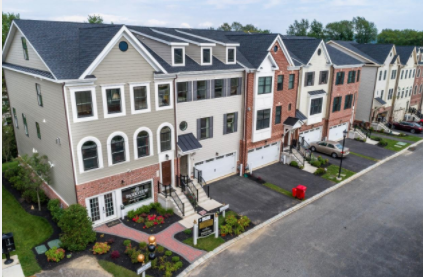 Description: Welcome to Parkview at Chesterbrook, the fastest selling custom home community in America’s #1 ranked Tredyffrin-Easttown school district! Situated along 90-acre Wilson Farm Park, the Washington with its flexible floor plan boasts sophistication, style, and elegance. Perfectly designed for everyday living and entertaining, enjoy a beautifully appointed chef’s kitchen with large island and 42′ cabinetry, that opens into the spacious Great Room. 9 ft. ceilings, hardwood floors, and decorative crown molding add the perfect finishing touches to the main level. Owner’s Bedroom retreat has two large walk-in closets and features a spa-like bath with dual vanities, Kohler fixtures and granite countertops. Completing the bedroom level are two additional bedrooms, laundry room, and hall bath. Options include an elevator, 4th floor loft and rooftop terrace with stunning views of the park! Enjoy carefree living with a location that offers quick access to major routes, area train stations, and world-class shopping and dining. 4 Washington homesites remain! Visit our two decorated models ? open Monday 2-6, Tuesday,Thursday, & Friday 10-6 and Saturday & Sunday 11-6. Interested in seeing additional properties like these? Click here to search all listings.